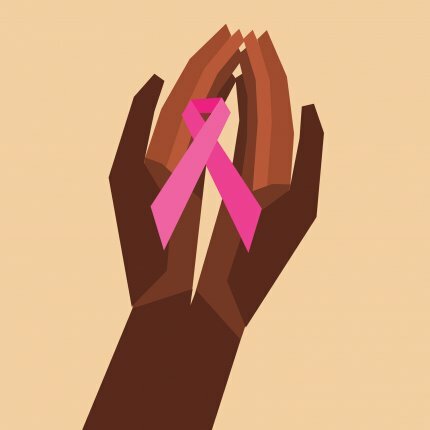 Breast cancers are often classified by the receptors they express. The three most common breast cancer receptors respond to estrogen, progesterone, or epidermal growth factor. The latter include HER2-positive breast cancers. Identifying these receptors facilitates treatment. A study led by scientists in Spain indicates that the endocannabinoid system plays an important role in the treatment of HER2-positive cancer. In fact, the cannabinoid receptor CB2 binds to HER2 — forming what is called a dimer — and this dimerization is associated with poor treatment outcome. When THC binds to the CB2 receptor, it breaks up this dimer. The researchers show, step by step, how this can kill the breast cancer cells. First THC binds to CB2, which splits apart the HER2-CB2 complex, as well as other HER2 complexes. This switches the secondary messengers — called G-proteins — that the receptors use to send signals into the cell. The cell starts to cut up its own HER2 receptors with a protein called c-CBL, which has an anti-tumor effect. Receptor dimers are increasingly being considered as targets for treating cancer, pain, schizophrenia, and numerous other conditions.